The Condate is an affordable, stylish and robust 3x4m Semi-Permanent Gazebo. 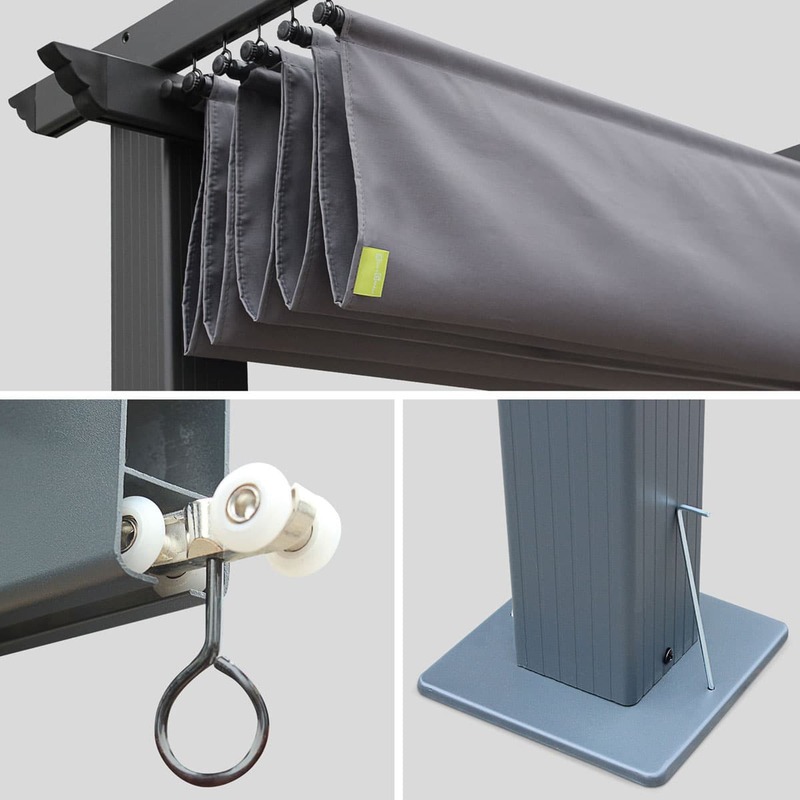 Its Sliding Retractable Polyester Shade combined with its Aluminium Anthracite Frame makes it easy to use in all environments. No doubt that its generous size and convenient use will be valuable for your favourite outdoor moments – barbecues, drinks or dinners. The Condate gazebo, which is resolutely modern with its EUROPEAN DESIGN and clean lines, will fit perfectly into all kinds of gardens. Its designer look will bring a touch of French elegance to your outdoor space. 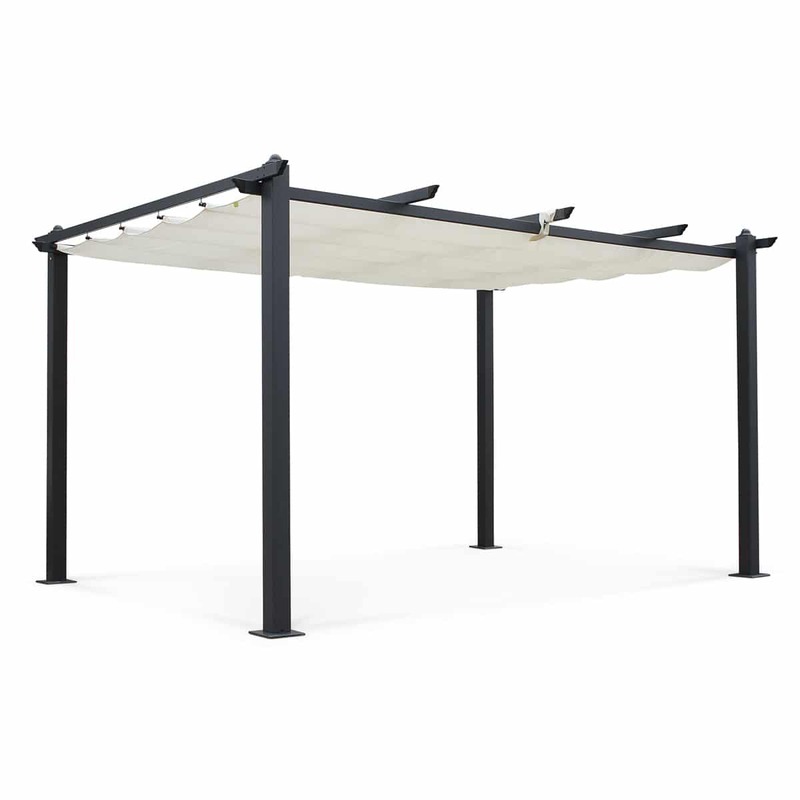 This gazebo is perfect for sheltering your friends or family from the sun, or can be left open to make the most of the rays if you prefer. 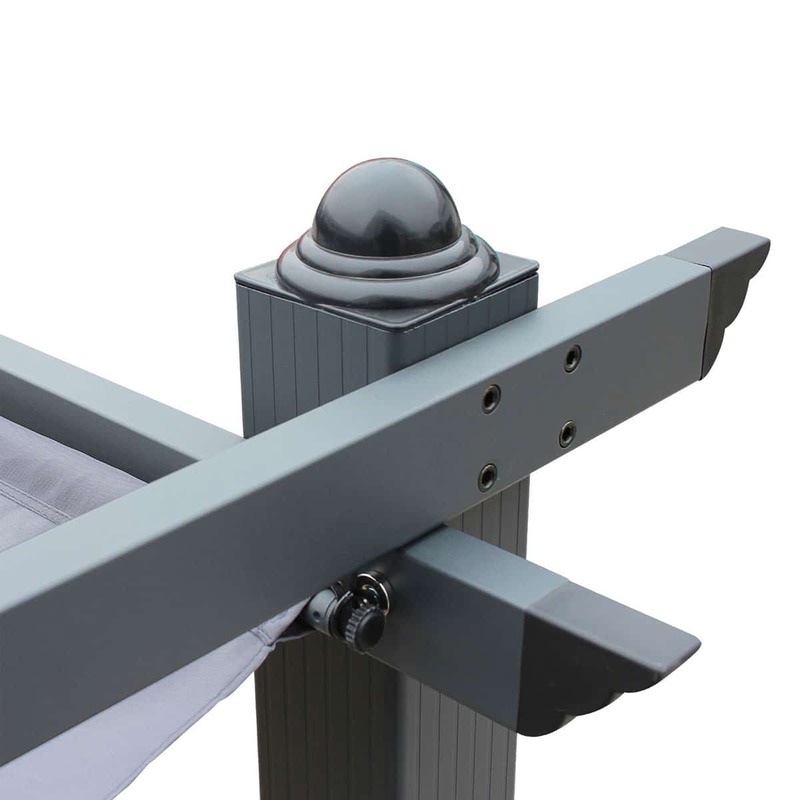 This aluminium gazebo is of the highest quality. For that reason, it will be a part of your garden for years to come. Aluminium is actually an ideal material for outdoor use, as it does not rust. Also, it offers good protection against the Australian Sun with an UV protected UPF 50. The Condate gazebo is also highly practical. Its retractable canvas means that it can adapt to your mood. This way, there will be no need to move your garden sofa set or sun lounger if you want to make the most of the sun. The canvas cover is extremely easy to open and close. The canopy is mounted onto rails. You therefore simply need to pull on the strap to make it slide from its open position to closed. This strap, with a velcro fastening, also keeps the canvas folded up. You can find also this product in 3X3m on our Website. The colour of the fabric on the photo may vary depending on your screen’s settings.